Refill your baton-based pepper spray with the original equipment refill from ASP. This insert contains 10% solution of 2 MM SHU OC spray formula made for ASP Tactical Defender Baton Sprayer unit. 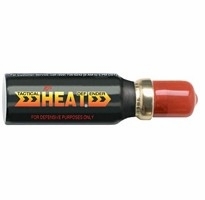 Contains 17 grams of OC spray net weight good for 30 one half second bursts with a range of 10 feet.